We previously reported that District Court Judge Reed O’Connor of the Northern District of Texas declared on December 14, 2018 (1) that the Affordable Care Act’s (ACA) individual mandate is unconstitutional and (2) that the remaining provisions of the ACA are “inseverable” and therefore invalid. A Houston federal judge preliminarily enjoined the government from recouping alleged Medicare overpayments made to an ambulance service company facing bankruptcy. See Adams EMS, Inc. v. Azar, No. H-18-1443, 2018 BL 391263 (S.D. Tex. 2018). Last Friday, in Texas v. United States, Judge Reed O’Connor of the Northern District of Texas (1) declared the Affordable Care Act’s (ACA) individual mandate to be unconstitutional. In so doing, the Judge, a President George W. Bush appointee, also (2) declared the remaining provisions of the ACA to be “inseverable” and therefore invalid. A home health agency has scored a second win in its fight to prevent CMS from withholding Medicare payments (to effectuate a recoupment of alleged overpayments), at least for the time being. We previously reported on the home health agency’s first win before the Fifth Circuit (which reversed the Northern District of Texas’s jurisdictional dismissal of the lawsuit). See Family Rehab., Inc. v. Azar, 886 F.3d 496 (5th Cir. 2018). We now report on its second win: the Northern District of Texas’s decision, on remand, to grant the home health agency’s temporary restraining order (TRO) motion and to at least temporarily enjoin CMS from withholding further Medicare payments. See Family Rehab., Inc. v. Azar, No. 3:17-CV-3008-K, 2018 BL 196462 (N.D. Tex. Jun. 4, 2018), TRO extended by Order of Jun. 18, 2018. As a first in the history of the Medicaid program, the Centers for Medicare & Medicaid Services (CMS) approved, on January 12, 2018, Kentucky’s section 1115 waiver application that imposes on many beneficiaries a “community engagement” requirement as a condition of Medicaid eligibility. This is commonly referred to as a “work” requirement, given that it can be satisfied through employment. The prior administration had rejected similar work requirements proposed under an Arkansas waiver requirement as falling outside the boundaries of the Secretary’s statutory authority under Title XIX of the Social Security Act to provide “medical assistance” to designated indigent populations. The following are some takeaways from the Kentucky HEALTH approved demonstration project. CMS Waives Medicaid Retroactive Eligibility for Iowa: Is Your State Next? Since 1973, the Social Security Act has mandated that states provide retroactive Medicaid benefits for three months prior to the individual’s application. SSA § 1902(a)(34). 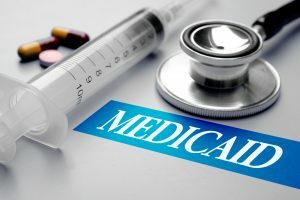 Congress enacted this provision to provide coverage to those lacking knowledge about their Medicaid eligibility and to those whose sudden illness prevented them from applying. Senate Report No. 92-1230, at 209 (Sept. 26, 1972). Providers benefit from retroactive eligibility through the ability to enroll uninsured patients in Medicaid retroactively, including after discharge, to avoid uncompensated care costs. The White House’s One-Two Punch to Obamacare: A Knockout Blow to the ACA? The White House announced that the government will stop making cost-sharing reduction payments to insurance companies under Obamacare. According to the White House, there is no appropriation for such payments. As the Exchange plans will still be obligated to bear the costs of the cost-sharing reductions, premiums for Exchange plans that remain in the market would be expected to rise dramatically. Many Exchange plans have termination provisions which allow them to terminate their 2018 contracts if the cost-sharing subsidies stop. On October 13, eighteen states and the District of Columbia sued the administration to restore the funding. The President also issued an Executive Order requiring the relevant agencies to consider regulations or guidance (1) allowing more employers to form association health plans (AHPs) and (2) expanding the availability of short-term, limited-duration insurance (STLDI). 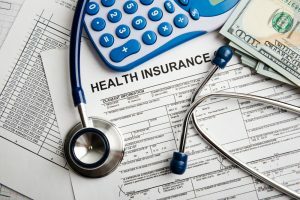 If the regulations come to fruition, younger and healthier people are expected to be siphoned from Exchange products and into cheaper AHPs and STLDI plans (that potentially offer skimpier coverage), creating adverse selection. Premiums will rise for those left in the Exchanges. Is the ultimate goal of these moves the total destruction of the Exchanges? Are they bargaining chips designed to bring Congress back to the table to fix the “problems” with the ACA? If the latter, will Medicaid spending cuts sought by many Republicans be part of that discussion? Stay tuned. 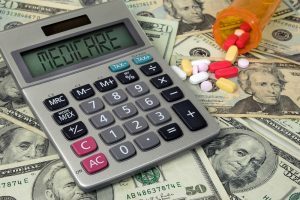 On July 23, 2015, the Third Circuit invalidated, as being contrary to the Medicare statute, the U.S. Department of Health and Human Services’ (HHS) Medicare wage index “reclassification rule,” 42 C.F.R. § 412.230(a)(5)(iii). That rule was designed to prevent (and did prevent) urban hospitals that had strategically reclassified as being rural from being reclassified again (based on their newly acquired rural status) to a particular urban area, to benefit from a higher Medicare standardized amount and wage index. In Geisinger Community Medical Center v. Secretary United States Department of Health and Human Services, the hospital first reclassified, successfully, as a Section 401 hospital (i.e., an urban hospital that elects to be treated as rural). It then sought to reclassify, based on its newly acquired rural status, to the Allentown urban wage index area. The hospital estimated that such a reclassification would increase its Medicare reimbursements by approximately $2.6 million per year. The Allentown urban area is 27 miles from the hospital. 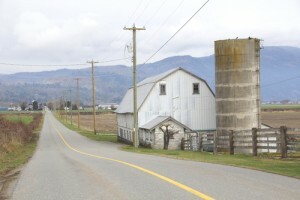 To be reclassified to that area, the hospital had to rely on the relaxed 35 mile maximum distance applicable to rural hospitals; it would not qualify under the maximum 15 mile distance applicable to urban hospitals. 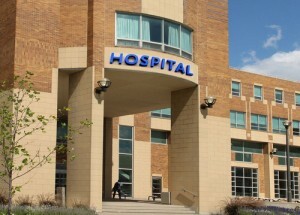 The reclassification rule, however, prohibited Section 401 hospitals from reclassifying based on their acquired rural status. The Third Circuit panel majority, under a Chevron Step One analysis, agreed with the hospital that HHS’ reclassification rule is unlawful. It specifically held that the statutory text of Section 401 unambiguously requires HHS, through broad and mandatory language, to treat Section 401 hospitals like hospitals that are actually located in rural areas. The reclassification rule, therefore, unlawfully prevented the Section 401 hospital from being considered as a rural hospital in its application to reclassify to a different wage index area. Non-profit hospitals, and other owners of tax exempt properties in Philadelphia, must certify as to their eligibility for continued property tax exemption with Philadelphia’s Office of Property Assessment (OPA) by March 31, 2015. Click here to view a Tax Alert on this issue. With its deep experience in state and local tax issues, Cozen O’Connor is ready to help affected organizations navigate the complexities of the certification process.